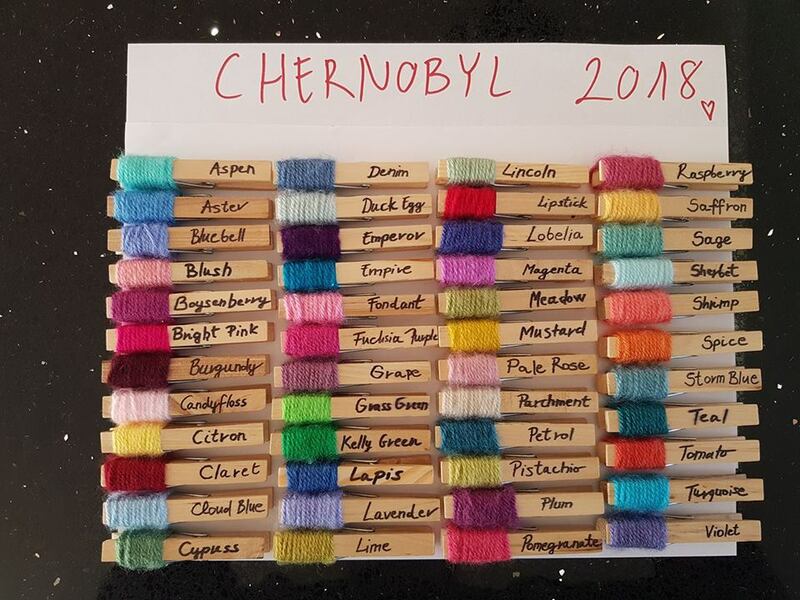 Woollyhugs > Latest.. > Latest > Chernobyl project 2018! We are delighted to be launching our Chernobyl Project 2018! For the last four years we have been making warm, comforting Little Hugs for Belarusian teenagers and children visiting the UK for recuperative holidays during the summer with the fabulous charity the Chernobyl Children’s Project and Chernobyl Children’s Lifeline. And we are chuffed to be introducing the Ayrshire, Fife and Aberdeen groups this year too! There are other groups we can contact, but will just wait to hear from last year first. So this year we look like we are aiming for approx 115 blankets but this may change. It is a good place to start with! The last posting date for squares and blankets made by individuals for our Chernobyl 2018 project will be April 16th, to the Teddington address, message if you need it! Yarn is Stylecraft Special DK – ONLY this please, inc for any embellishments. If anyone would like to donate funds to support this, we would be so grateful. Our paypal is admin@woollyhugs.com . Cheques and cash are very welcome too, just PM for the address. We are grateful for every single penny. Can anyone help with extras? LAST POSTING FOR EXTRAS IS MAY 26th! * Toiletries, toothpaste, shower gel, shampoo etc, but not bars of soap please. These are obvs very heavy, but you can if you prefer send funds and we can get locally. * Any little luxuries that pre/teens might love, eg nail varnish, lip balms, hair clips, make up bits, stickers etc. * If you would like to add 50p in when you post squares for ice creams that would be so kind, we will split any money we receive between the groups. Hugs for Heads – we have enough of these thank you!! After the success of Fife last year, we thought how lovely it would be to send all children a cosy hat to take home with their blanket this year, so introduced Hugs for Heads, if you would like to knit or crochet a child’s hat size age 8 to adult (most are teens) in machine washable yarn, we would love to receive it for them. The pattern is up to you., we do have yarn available, please message us. Last posting the same as squares. But the fabulous Woolly Hug crew never fail to amaze, last year was an astonishing team effort, we know that together we can do this. Spring and Easter Craft Sale 2018!